Five close friends, Beefcake Arial, Chubby Ian, Artsy Zafran, Beautiful Riani and Leader Genta, have been together since high school. They have had great fun exploring typical young Indonesians' shenanigans, from going to see traditional open-air film screenings to hanging out at classy cafes in Jakarta. They have stuck together throughout the years. One fateful day, they decided to take a three-month break and not communicate with each other in any shape or form. Their lives immediately took on different courses, with each pursuing their own dreams while holding on to the memories of their close friendship. Arial and Zafran fought for each of their loves, Ian fought to complete his thesis while Riani and Genta fought for their dream jobs. When the agreed-upon break was up, the five met up with great enthusiasm, deciding to celebrate the event by going on a challenging and dream-filled adventure. A meaningful journey to raise the national flag on the highest peak of Java on August 17th, Indonesia's Independence Day. 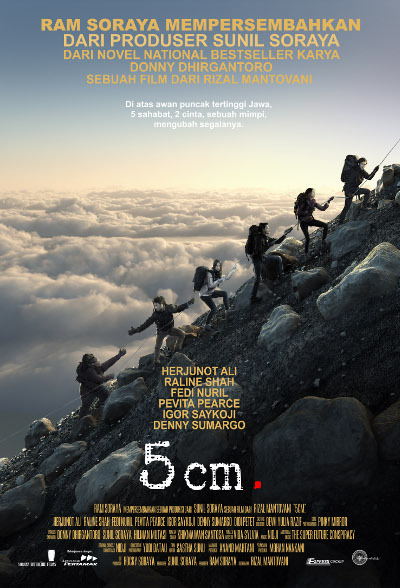 A journey filled with struggles that deepened their love for Indonesia. A journey for the sake of dreams, friendship and love, a journey of the heart that would forever transform their lives.